Previously I wrote two tutorials on how to style the image element with CSS3 inset box-shadow and border-radius. 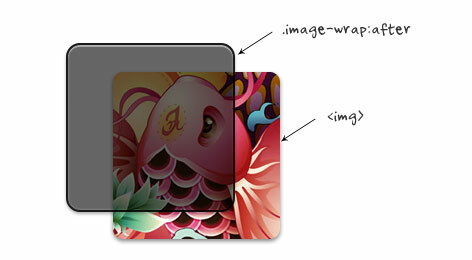 The trick is to wrap the image with a span tag and apply the image as background-image. However, I recently ran into a problem with that trick while designing the PhotoTouch theme. The issue is that the background-image is not resizable and thus it is not a good idea to use in responsive design. Fortunately, I found a workaround to resolve this. So today I’m going to revisit this topic again. Most browsers don’t render the border-radius and inset box-shadow perfectly on the image element. This means you can’t make the image look like embossed, glossy, pressed, etc. As I posted before, you can work around by applying the actual image as background-image. Now the problem with using the background-image trick is that the image can not be resized dynamically. So it is not a good idea to use with responsive design where the images have to be resizable. This was an actual problem I encountered while designing the PhotoTouch theme for Themify. Then later I found another workaround using a similar trick. Instead of applying the image as background-image, I found that I can achieve the same result by applying the CSS3 effects on the overlaying image wrap :after pseudo element. The best thing about this trick is the image remained intact and resizable. Again, jQuery is used to add a dynamic wrap to the target images. The jQuery function below looks for all images in the #demo container and wraps it with a span tag. The CSS trick is very simple. The overlaying effects are applied to the .image-wrap:after pseudo element. Border-radius (rounded corners) is applied on both the image and image-wrap:after element to match the style. Various styles such as embossed, cutout / pressed, and glossy effect can be achieved using multiple inset box-shadows. You can also use the :before element to another layer of effect such as glossy gradient. See the demo source code for CSS details. Resize your browser window to see the resizable images. Nice job Nick! This method is way better than part 1, only problem is no IE7/IE8 support. But IE7/IE8 do not support border-radius and CSS3 (at least if yo don’t use behavior), so the result is a normal square image. You can use PIE CSS3 (http://css3pie.com/) if you fear is IE, PIE makes Internet Explorer 6-9 capable of rendering several of the most useful CSS3 decoration features, Try it!! PIE wouldn’t work because IE7 or lower doesn’t support :after element. Why does anyone even care if a person who has chosen to stick with IE can’t enjoy a more aesthetically pleasing site? It’s not as if there is some barrier preventing them from installing a real web browser. If web browsers cost money, and there was hardship involved, I would understand. But there all free. I agree with Luis, enough with this IE mumble rumble! I’m curious as to why you wouldn’t just apply the .image-wrap:after styles to the .image-wrap itself. I’m probably missing something trivial, but thought I’d ask. My initial tests seem to indicate that if you don’t use .image-wrap:after and apply all of those styles to the .image-wrap itself, excluding, content, height, width, position, top, and left, that you get the same results. I’ll have to do more cross-browser testing, but This would significantly reduce the overall markup and CSS necessary for this approach. You need to apply the styles to the :after pseudo-element so that they appear “on top” of the IMG. If you apply the styles directly to .image-wrap, the IMG would obscure the styles. Thanks Tim. That makes complete sense now, and I can see that those styles that needed to appear above the image (box shadow) weren’t getting applied in my .image-wrap only attempts. Nice trick. I’m saving this one for reference and a touch of awesomeness in future projects. Thank you Nick, I really liked and enjoyed your past tutorials, thank you for sharing the fixes! Impressive stuff, the glossy effect sure does enhance the visual impact of a picture. I am going to try and use some of the styles here. I am definitely using these tips in my current project! Thank you for this post. Great fix Nick, I didn’t really like the background image fix either. This is way better. Nice post Nick.. good old jQuery to the rescue again. This is good. This is getting fun now that more and more of this fancy stuff is supported by IE. It makes selling to the bosses a lot easier. nice tur, and great examples..thx for sharing, bookmarked this article! Nice work, cheers for the article. For those going on about IE7/8 etc, who gives a poop, it’s called browser degradation. If you want/must cater to user IE7/8 users you’re better off not using CSS3 at all if pixel perfect cross browser compatibility is essential. Cutout style using box-shadow effect is really awesome. All these awesome things doesn’t work on IE. 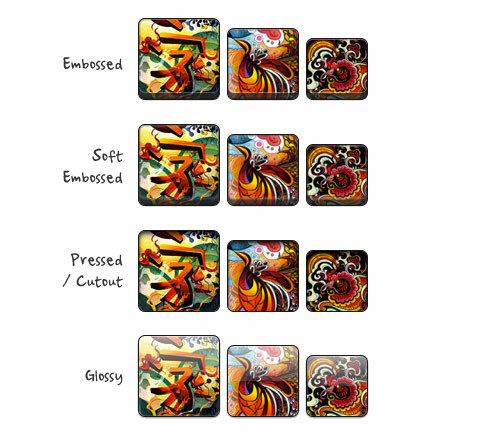 That is great how you combined both relative and absolute positioning within the two image-wrap classes. They are the same yet different working together like a well-oiled machine. Kudos! Most browsers let you apply CSS3 directly to the image element now, so no need for the span. Excellent efforts! Thank you for sharing the information. Its been great to know about and appreciate your work. Awesome post – loving the soft embossed images. Great job, Nick! Thank you! I wouldn’t have thought to use multiple inset box-shadows to create those effects, Thank you! intersting tip, as usual. and useful ! but for such a little effect, so much css code still to write, isn’t it ? anyway, thanks ! Thanks for the write-up! I really like these styles, but I was curious if I could still do the circle layout or the Morphing & Glowing like you had in your previous tutorial with this new version. Yeah, I really liked some of your older overlay “frames” which still aren’t possible with code alone. But could definitely be done with a combination of image re-sizing/stretching OR repeating chunks. Thanks for sharing! Just as a sidenote: there’s a minor typo in the code. It’s supposed to say-webkit-box-shadow, not -wekbit-etc.. Also some white-spaces get swallowed by the editor (? ), like <imgsrc=" and .image-wrapimg. Thanks for sharing your findings with us all. Nice tutorial, I’m should start to learn CSS3 now. Image styles are so easy to learn. Very good tips and it is more useful for me. Nice tips in one place. CSS3 gives us so many possibilities… Thaks for sharing your knowledge. Thank to share great resources. Thanks! Been looking for a tut like this everywhere. Nice using of :after selector. Do this also work on mobile browsers? Hey Guys!!! this is very pretty article., this article is very helpful for us and now we came to know via this post how make image style in CSS. thank you very much for sharing us. Wow! CSS3 is so cool! Imagine the possibilities using these tricks. No more photoshopping and faster loading speed! Awesome! Thank you for the tutorial! Great tutorial! I’ve always faced this problem and ultimately got around with this post. You great, you master, you imba, grrrrrrrrrrrr! Thanks mate. wow! awesome tips! And its easy to understand. tks! Much needed workaround – great example! Great tips. Keep up with your fantastic work! This article is very helpful for us and now we came to know via this post how make image style in CSS. thank you very much for sharing us. Also really interesting, you can use CSS3 PIE to be compatible with IE! Thanks for the tutorial! Sorry, finally I can’t find the way to implement this code with CSS3 PIE. Someone found a way to make it work in IE? Great tips! I`ll use right now on a project! Tks! I can see this getting used a lot soon. I can’t wait to experiment. Cheers. Thank you for this – and Iwas very hopeful that it would work – but clearly I am missing something! And I wonder if you could help? Interesting approach. Border radius of an image on website design can be tricky especially when trying to create various effects. I like your solution here. The embossed edges are a fresh take on image design and layout for graphic design in websites.